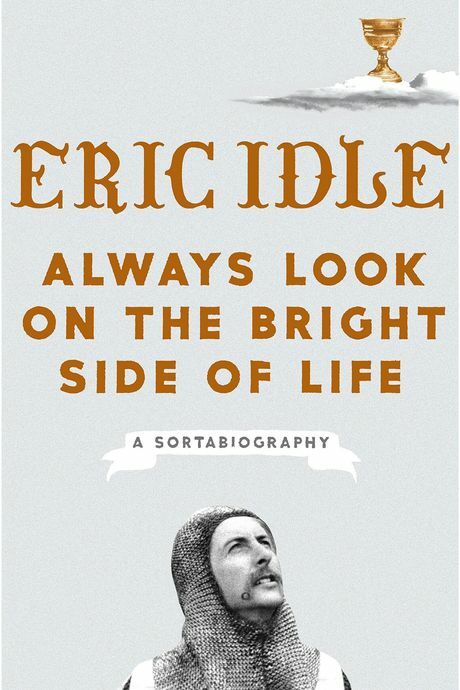 Monty Python’s Eric Idle has written a memoir, Always Look on the Bright Side of Life: A Sortabiography. The book, in which Idle recounts his adventures as a legendary comedian and actor in projects like the influential Monty Python’s Flying Circus, the savage Beatles parody band the Rutles, and the totally underrated Nuns on the Run, is named after “Always Look on the Bright Side of the Life,” the disarmingly sunny, ironic song Idle wrote, and then performed — during a crucifixion scene — in the 1979 Python movie Life of Brian. In this excerpt, Idle describes how the song totally got away from him … in a good way. “Always look on the bright side of life” has probably been my subconscious motto throughout my life, but I never thought it would be a hit. And not just in the Top 10 charts. On January 20, 2009, it officially became the number one most requested song at British funerals, replacing Frank Sinatra’s “My Way.” It has remained there ever since. Beating out even Elvis. You’ve got to love the Brits. First of all, who would even have such a chart? And secondly, of course you don’t get paid for funerals, but hey, you take it where you can. It probably replaced “Spam, Spam, Spam” at Viking funerals. 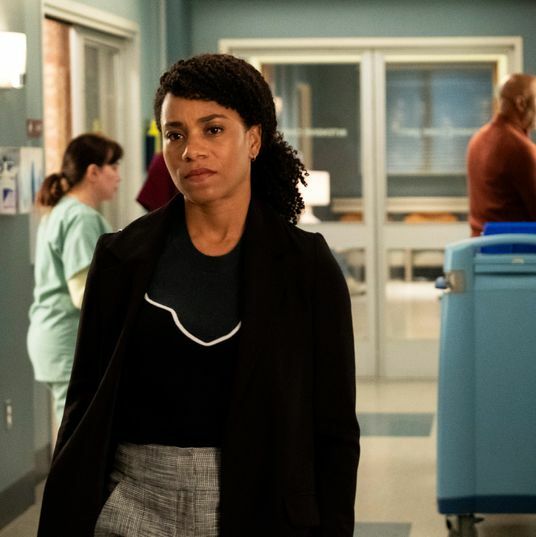 As far as I was concerned, “Bright Side” was just the end song of a movie, but now it began to take on a life of its own. It began at Graham’s [Chapman, fellow Python member] memorial. I was asked to sing it to close the event, as it was Graham’s favorite song, and it was one of the hardest things I have ever had to do. I was still singing it to Graham, but now for the final time. He had died with exquisite timing on October 4, 1989, the eve of Monty Python’s twentieth anniversary. We canceled a huge party we had planned, which wouldn’t have been what he wanted, but it was how we felt. It was a shock. This was one of us. Mike [Palin] and Terry J. [Jones] were with him at the end. John [Cleese] wept inconsolably. I was at home writing a song for him, “Life Will Get You in the End.” I finally finished it when George [Harrison] died. A month before he died, Graham joined us filming Parrot Sketch Not Included: Twenty Years of Monty Python, a 72-minute celebration hosted by Steve Martin. I can still remember Steve’s shocked look of horror as he watched an emaciated Graham being carried in. Nobody had warned him. Graham had lost a lot of weight after two operations on his cancer but he was his usual cheery self, cracking jokes about his condition, and we all did a sketch together with Steve interviewing us as schoolkids. We did another shot where Steve asked to-camera where all the Pythons were today and then opened a closet. We were inside. It would be the last time we were all together. I had bumped into Graham at the Beverly Center in LA that January, and he had a big wide grin and looked hale and hearty and said he had a slight thing in his throat, nothing to worry about, but he was going back to London for a procedure. When I visited him at Cromwell Hospital after his second operation he looked in a very bad way, but he surprised me when he told me he was thinking of opening a longevity center! Perhaps he was joking. Maybe he was trying to cheer me up. Who knows, but it would be the last time I saw him. On December 3, 1989, we all gathered in the packed Great Hall at St. Bartholomew’s Hospital for his memorial, where I had to sing “Always Look on the Bright Side of Life.” It was particularly hard to get through, and I almost lost it. It was even harder because, thanks to John Cleese, the memorial had become a roast. He brilliantly broke the somber mood and turned solemn grief into relieving laughter with an outrageous parody of their “Dead Parrot” sketch. How ironic that Graham, who was always late, left so early. That really should have been it for the song, except that it wasn’t. Bizarrely, it was about to become a popular hit. I had become friendly with a neighbor, Gary Lineker, a brilliant footballer, the captain of England and Spurs and now the presenter of BBC’s Match of the Day. One day in 1991, Gary said to me, “You know they’re singing your song on the terraces.” Apparently, football fans had taken to singing it when their sides were losing helplessly. Simon Mayo, a friend of Gary’s and a BBC Radio 1 DJ, began playing the song every morning on his breakfast show, so it was getting a lot of airplay. Because of this, Virgin Records rereleased it as a single on September 23, 1991, and to my surprise it began to rise up the pop charts. It was strangely exciting as each week it rose higher and higher. It eventually got to number three, where it peaked after I had been persuaded to sing it on Top of the Pops, a deliberately chaotic performance with John Du Prez leading the band. Simon Mayo said it was because I had sung it on Top of the Pops, and he may well have been right, but it did get to number one on the ITV charts, and, even more satisfying, it became number one in Ireland, which was great because the movie had been banned there, and the soundtrack album on Warner’s was withdrawn and pulled out of record stores after protests when it was first released. A fitting revenge. Excerpted from Always Look on the Bright Side of Life: A Sortabiography by Eric Idle. Copyright © 2018 by Rutland California Weekend, Inc. Published by Crown Archetype, an imprint of the Crown Publishing Group, a division of Penguin Random House.